THE TRUTH IS, writing a blog post takes time. If it were the case of just writing some sentences, it wouldn’t take that long at all. But what’s the point of that? The last thing you want to do in a busy, information-saturated world is waste people’s time. It’s an insult and you’ll put them off. After all, these people have given up time in their busy days to read what you have to say. Don’t ruin this special relationship forever by churning out rushed, poor quality content or waffle. Always think: What’s in it for them? Continue reading How Long Does it Take to Write a Blog Post? MYOB or WordPress for your new business website? Is MYOB doing too little of too much? Every business needs a web presence, and it’s become a lot cheaper and easier to get one. 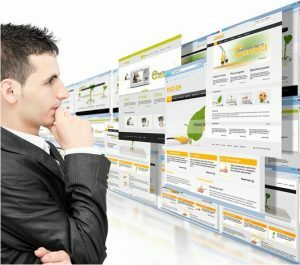 Where it once could cost many thousands of dollars to have a web designer get your business online, you can now build your own website yourself, quite cheaply. That’s due to the number of cheap open-source content management systems that have come the market, like WordPress (by far, the market leader), then there is Wix, Squarespace, and even Google Sites (part of Google’s G Suite productivity apps for business). Our online WordPress Training Courses include the basic creating and editing of website pages and blogs posts to more advanced features only available to WordPress Site Admins. 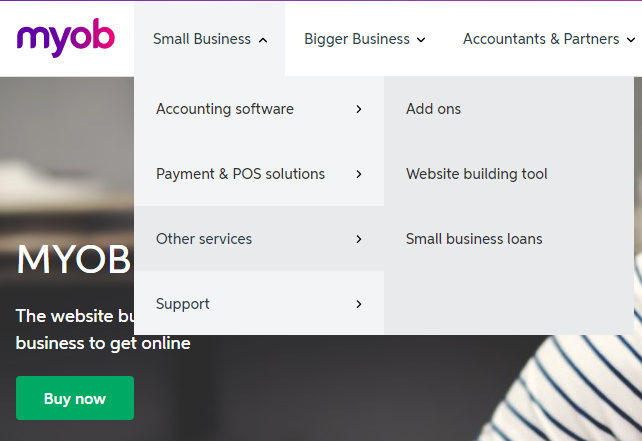 You might find it interesting that MYOB offers a website service and it makes me wonder whether MYOB has the single focus on building the best accounting software for small business or jumping into any and every new technology it can to see which one sticks. About five years ago, MYOB, in partnership with Google, launched a website creation tool called Atlas as part of an initiative called “Getting Business Online.” Atlas enables MYOB customers to create a business website, get a domain name, connect an e-commerce site, and social media platforms for $30 a month. and it’s free so check it out if you want to learn on that technical stuff! Because they’ve partnered with Google, the sites promise to “rank well on Google search,” but there’s no flexibility to manage your SEO or integrate with any SEO tools. In fact, for your $30 a month, you don’t get much flexibility at all — not in the choice of themes (they’re limited), adding corporate branding, to connect email marketing services, template changes, and so on. Back when the internet was still fairly new, MYOB used to have a partner program in place with hosting companies to help their clients run multi-user programs in the cloud. When MYOB realised they could be earning that money themselves, they shut the program down and did what they have often done — disregarded their partners and their businesses completely. MYOB have gained a bit of a reputation for this sort of thing — starting up, and then abandoning, partner programs. Over the years, perhaps due to the complexity of their software, they’ve tried to establish themselves as the enterprise reporting planning (ERP) software of choice for mid-size businesses, but they’ve struggled with already established specialist brands. The MYOB Atlas website creation tool is another example of just that. With established platforms like WordPress, which is easy and cheap to use, and highly customisable, this might just be another missed opportunity for MYOB. These website design platforms are built around the concept of open source software and WordPress is surrounded by thousands of theme and plugin developers which provide the integration for some pretty advanced features in an easy to use interface. We made the change to WordPress after going with a Site Builder program which ended up closing down and no longer being supported – it’s a huge waste of energy and resources when you have to start all over again! Unlike MYOB, Xero realised early that online software is about being a specialist in a given field, so they integrate with lots of different specialist platforms and systems so small businesses can connect the applications they need. I’ll be writing about some of these Xero integrations soon. Digital marketing is one of those fine arts that sometimes takes many attempts to get right and I’m guilty of that myself. I wrote a couple blogs recently about content marketing because I spend a lot of my time creating and modifying strategies, optimising and planning the content that my team creates for EzyLearn and other websites. 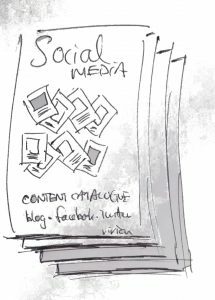 However, I think many people are unfamiliar with what the term “content marketing” means — my mistake! I should have used the words that most small businesses associate with online and digital marketing: “SOCIAL MEDIA”! So, now that I know social media is the keyword, I’m going to explain how every course we offer ties into your Facebook advertising and Facebook Page and why all of these aspects are important to you if you are going to spend more time and money building a strong online brand. Images are used in Instagram, Facebook, Linkedin and on your blog (if you have one). They are used to make a blog easier to read and in industries like real estate where good photography is important to get a high price and make a successful sale they are used to showcase the product being sold. I recently spoke to an asbestos removal company and photographs of what they do and how they do it are also an important part of their “content”. EzyLearn has several hundred videos as part of our online training courses and sometimes we use them to give prospective students examples of our training, explanations about how our special offers work or even videos of me explaining the EzyLearn journey since the late 1990’s! Real estate agents like Derek Farmer use video to help educate property sellers about the various aspects of the property selling process and what to look out for. We show you how to get your video up to YouTube, or more professional services like Wistia and show you the analytics you can get about your video viewers and how to make a better video next time — it’s all about drop off rates. We also show you how to get a Call-To-Action within the video itself. Blog marketing is my personal favourite because I love writing; you can really play with the keywords that Google loves so much and you can fill a website up with content that shows you are active. We teach you how to create a website, create web pages AND blog posts, how to optimise them for the keywords you want to be discovered for and how to measure and understand the visitor analytics. This is the one that EVERYONE is interested in and for good reason; the demographic targeting is fantastic. Facebook is becoming increasingly important for real estate agents to promote themselves — indeed, Social Estate and BuddyBid are just two companies getting in early to earn a couple of hundred dollars a month for each real estate agent they take on board. Note: This is something that any work at home mum (or dad) can do! You just need to understand how to generate new content or “republish” other interesting content on a Facebook Timeline and how to create a Facebook Ad. We cover all of this in our Social Media Marketing Course. Our written guide and training course videos show you how to set up a Facebook Page for a local business (ideal for tradies, service providers like accountants or bookkeeper and of course real estate agents). By using a Facebook page you can assign the administration of that page to someone who simply schedules posts — that someone can be YOU. Most people with a Facebook Page then need to make sure their Timeline is filled with content so that they pop up regularly in local news feeds. Most people think it’s important to create a Facebook post every day but that’s hard to do if you need to generate original content. Instead most people re-post other content that is relevant to the audience — this is often referred to as curated content (for instance, where you make a comment or affirm your belief in an article). This method of posting other people’s content is good enough to show that your Facebook Page is active. However, from an internet marketing perspective it tends to send people away from your Page and onto other websites where your competitors might advertise — especially if you report material by ratemyagent, openagent, realestate.com.au or domain! In our social media marketing course we show you how to make a post like this and schedule them all in advance but also how to get your own unique content and how to link to content where none of your competitors are listed. Facebook ads are relatively simple to create so there is NO reason to get someone else to do them (particularly if they’re going to charge you the equivalent of 4 hours’ labour!). The key elements of a Facebook Ad are their structure: Campaigns, Adsets, then individual ads and once you get that right and understand how it works, creating a Facebook Ad can be done by someone in your office or who you trust (again, a work at home mum). We show you the type of posts and ads that Derek Farmer paid to promote in his local area, why he chose to do it, how much he paid and what his viewer and reader statistics were. We’ll also show you how to advertise to your own client base in their Facebook Feeds and how to remarket to people who’ve been to your website or Facebook Page. I believe that your own website is the best “landing page” for any marketing money spent because YOU OWN IT. The more traffic you direct to your own website and the more content you put there that is valuable to your customers and future potential customers the more valuable YOU and YOUR WEBSITE will become. In our Social Media Marketing Course we include every aspect of how to manage your own website using the very popular WordPress Content Management System. This includes having multiple users be able to publish content. We also teach you how to optimise your blogs and pages for important keywords using tags and categories, how to use meta tags on your pages and even on images so everything gets indexed by Google and how to make your website look fantastic with professional themes (templates). Having a call to action on your website or Facebook Page is critical to truly analyse it’s effectiveness and understand it’s success — what’s working and what needs to change. A very important part of that is to capture the email address of people who visit your site and most websites do that using a giveaway, free reports, white papers etc. Once you have a potential clients email address you effectively have permission from them to send them email messages. We use a number of different email marketing solutions including Campaign Monitor and Aweber, and these are very similar to MailChimp, GetResponse, Constant Contact and a plethora of other email marketing solutions. We’ll show you how to use these systems to capture website visitor details and send them messages automatically. Google Analytics is the most popular website traffic analysing system and you can use it to measure the effectiveness of your website day-by-day, week-by-week and for specific date ranges. We show you how to implement the code on your website, how to access the visitor traffic information on your PC and even your mobile phone and what elements to look for to understand what your website is doing. We do all of this using our own website examples as well as Derek Farmers website so you can see what real businesses do to succeed online. Whether you want to do all of this yourself, hire an experienced internet marketer or find a suitably qualified work at home mum (or dad) this course will give you an abundance of knowledge and strategies to manage what you do. See what’s included in our Social Media Marketing Course and enrol today at a huge launch discount! Are You a Bookkeeper Who Needs More Clients? Want My Advice? If you are a bookkeeper, selling is as important to you as it is to, say, a real estate agent. For those of us in small business, be it as a bookkeeper, real estate agent, sales rep or the like, most of us are selling every day of our lives. This means we get pretty good at it. We develop techniques that we can replicate and that become part of our daily lives. closing the sale (via offer and acceptance, funds transfer, receipts and after sales support). I’ve written a lot about content marketing lately because content marketing is simply imperative for anybody looking to sell their products and services and source new clients. The beauty of content marketing is that, as a system to source new leads, you can cover all the steps of the selling process without it seeming like a chore and, best of all, without feeling “salesy”, cheesy or inauthentic. It’s focus is about the potential client — it’s about providing them with relevant information that will benefit them — not ramming a sales pitch down their throat. Good sales people realise that sales and the very process of selling is not about just “closing” a sale. Rather, it’s about understanding what the customer needs, seeing if your product is a good fit and then offering a solution to a customer’s problem. 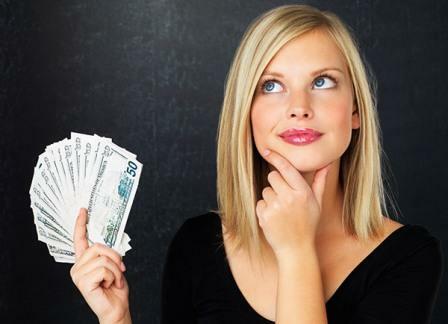 How much of sales is Content Marketing? To this end, content marketing is about 80% of the selling process or 80% of the sales funnel (as corporate sales people like to call it). This is because content marketing involves information gathering; it involves seeing if your product and YOU are a good fit for your client. 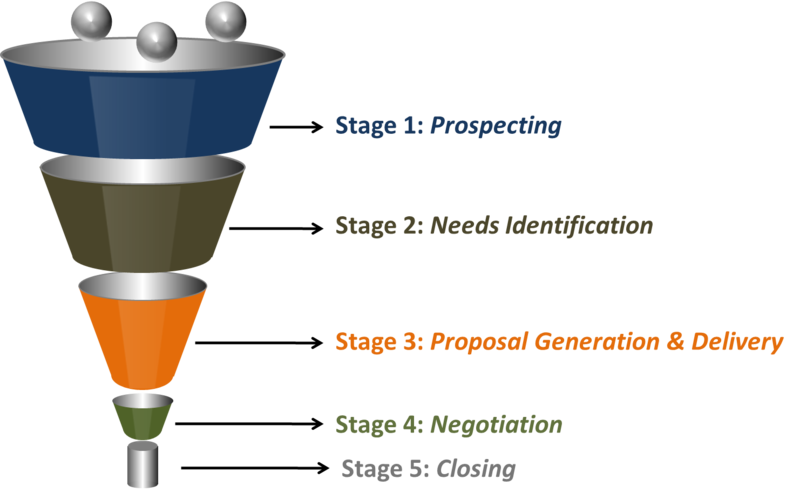 CRM’s to manage the final parts of the selling process. When you implement these systems you can sit back and watch it work and then focus on your conversion rate or what industry experts call CRO – Conversion Rate Optimisation. Most of our students are looking for bookkeeping work, or want to start a bookkeeping service business — that’s why they use our services for MYOB Training Courses, Excel Training Courses, Xero Courses and Small Business Management Training. Our recently updated bookkeeping directory is matching small business people to bookkeepers for a fair rate (for instance, if you want a level 3 bookkeeper, you pay for a level 3 bookkeeper). The National Bookkeeping directory is aimed at helping people (our students primarily) find bookkeeping work or start a bookkeeping business, but it’s also a great way for small businesses to find bookkeepers located close by, or who have the skills they require but who don’t necessarily need to come into the office and can assist them in the cloud. To find out how you can be more than just a bookkeeper, and start your own bookkeeping business and promote your valuable bookkeeping services to a wider circle of potential clients via content marketing, read about listing yourself on National Bookkeeping or becoming a licensee. Finding it hard to get started in content marketing? Register for our upcoming course. January, February and March of a new year, which is typically the quietest as people take a while to adjust to the work and school routine, is when a lot of businesses spend time setting goals for the year ahead. Just as individuals set their own personal new year’s resolutions, many businesses use January and February to set some new year’s resolutions for their business’s marketing activities. In 2016, there was an unprecedented uptick in the number of Australian businesses using content marketing to help drive their search engine rankings, increase customer engagement, and position themselves as opinion leaders in their industry. If the last 12 months is anything to go by, then, it’s fair to say 2017 will continue the content marketing trend. Yes, I’ve been talking about content marketing a lot on this blog lately, as it’s a marketing strategy EzyLearn has been using, almost exclusively, for many years now, with much success — you are reading this blog post, after all! 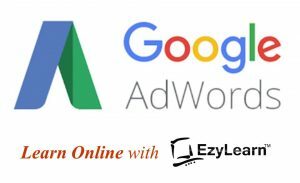 EzyLearn and our partners continue to help many businesses establish their brand and build credibility online using content marketing — something we continue to do to great effect for real estate agents, to name but a few. Whether you are an agent, bookkeeper, small business owner, or just have dreams to start working for yourself, why not register your interest in our up and coming content marketing course. As popular as content marketing has become in the last few years, many people still don’t quite understand that great content marketing requires you to pay equal emphasis on each component. This includes the word content itself in an ebook or enewsletter for instance, but also the layout and design, the SEO etc. It also needs to be free of typos! I know, in the past, I’ve probably been guilty of rushing to publish content on our website because I’m so eager to share what we’ve created with you. But for content marketing to be successful in the long term, it needs to be approached holistically. In other words, the copy is equally as important as the design and the layout; the messages need to be consistent and you need to keep communicating with your customers — it can’t be hit and miss. Just as every side in an equilateral triangle must be created equal, so too do you have to consider all components equally when content marketing. As a small business, you probably have at least one person in your team who is either a) design inclined; or b) a good, strong writer. If you’re really lucky, you may have both, but it’s not uncommon for a business to need to outsource part of this work to a professional, usually on a contract or freelance basis. Take stock of the talent you have in-house already. If you have a competent designer, utilise them and outsource the writing to a professional. It’s unwise to try and do everything yourself. Producing high quality content is a time-consuming process, made even more so if there’s a particular aspect of it — the writing, say — that you’re not proficient at. I would say that most business owners do most of what I would loosely term ‘designing’, themselves, which in the case of blogging is choosing an image that accurately reflects the message you’re trying to communicate in the main copy. 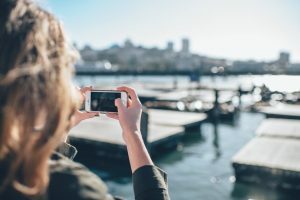 Litter your blog posts with photos you have taken yourself – these are far more personal and usually more interesting than expensive, routine image libraries. There is a certain art to selecting images for your blog. You want to avoid using ones that every other blogger is using, which means ditching your regular Google Images haunt and using a stock library instead. But this is where you need to do your research. Many free stock libraries serve up the same images that you find in Google Images, which brings you back to square one. They’re also incredibly boring. At this point, next logical option probably seems like paying for a membership to a stock library. Again, research is required here. Not all stock libraries, even paid ones, are created equally. Well known libraries — iStock Photo, for example — are expensive, while the other, lesser known ones are still boring. So what’s a content marketer to do? Get creative. Remember, content marketing is about creating original, high quality content that’s relevant both to your customers and to your business. With this in mind, rather than paying for expensive stock photography and images, why don’t you take your own? There’s nothing more original and relevant to you and your customers than your own photography. Publishing original content on your blog and website, whether it’s in the form of images, copy or videos (or all of the above), the harder it will work at driving your search engine rankings, while, at the same time, the personalised approach will have a longer lasting impression on your readers and customers. Bookkeepers especially — take note! If you’re a bookkeeper looking to start your own bookkeeping business and find yourself clients, or grow you list of clients, and content marketing isn’t already on your agenda for 2017 — it should be. In terms of having the experience and know-how to content market to people we know what our students need to be successful to this end, after all, most EzyLearn students use our services for MYOB Training Courses, Excel Training Courses, Xero Courses and Small Business Management Training because they’re looking for bookkeeping work or want to start a bookkeeping business. Very early in the piece we started finding out why our students did our courses because it enables us to develop targeted products (and write content about) what they need. We’ve launched a new bookkeeping directory which is aimed at helping people (our students primarily) find bookkeeping work or start a bookkeeping business, but it’s also a great way for small businesses to find bookkeepers who are close to them. We’re also taking registrations for our content marketing online course. To find out more about how you can be more than just a bookkeeper, and start a bookkeeping business, including promoting your bookkeeping services to a much wider circle of people and engaging in content marketing, read more about listing yourself on National Bookkeeping. If you’re interested in content marketing, either for your business or because you’d like to become an independent contractor offering content marketing services to other business, you can learn more by subscribing to our blog. 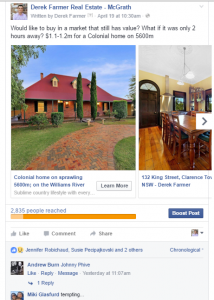 You may recall a recent post about the exciting work we are doing with real estate agents around Australia to help them with their social media marketing as their industry goes through massive technological change. 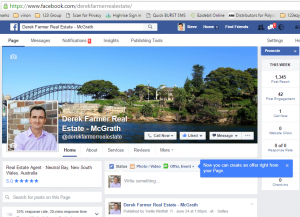 Real estate agents are adopting Facebook pages, using Facebook advertising and creating their own websites to make them stand out from other agents but most importantly to show property sellers that they’re very experienced in the local property market and also great people to deal with. This stuff also applies to bookkeepers, accountants and most businesses where a good personal reputation is important! We spend much of our marketing efforts “writing” blogs to add value to you, the reader. We also optimise these pages so they can get discovered by people who use Google and other search engines to find information. Through our digital marketing agency, virion we’re doing this work for real estate agents AND bookkeepers so make sure to check these services out or contact us if you want to know more. The thought of creating, uploading and then displaying videos on a website is very daunting to some people and usually it’s the inserting the video into a website as a blog or a page that is the part people aren’t sure about. So, I created a video for you! Yes, feel free to enjoy my calm, relaxing, yet very capable voice go through a process that our team go through dozens of times a week. Where are you going to store the videos. We prefer Wistia because of their fantastic analytics but most people are familiar with Youtube and the fact that it’s free is a great benefit too. How are you going to display it. We prefer to keep our content on our own websites but lots of real estate agents are happy to build up a following on many different social media platforms and Youtube is definitely one of them. Enjoy the video below and make sure to Request a Quote if you are interested in having my team and I manage your online digital marketing using quality content. Also, stay tune for updates about our forthcoming Facebook for Business Courses. With these software programs you can run most aspects of a business and we’re including them all in our new Corporate Training Business Software Training Licences for businesses with a team of people who all want to improve their software skills. Our Business Software Training Licence enables up to 5 staff members have unlimited access to all training resources for all of our software training courses for 12 months for a low fixed cost. We also have discount prices for larger numbers of staff. If you look at the total retail price for all of this it is well over $6,000 of value in online corporate training courses and at the current price you’ll only pay less than 25% of the price. That is a saving of over 75%! In 2015 we experienced a significant increase in the number of corporate enrolments for our Microsoft Office courses and have created this package to make life easier for corporate who want to enrol their staff easier, while also taking advantage of the discounted prices. If you are looking to up-skill in a number of accounting software or office application programs you’ll also discover some discounted course combination offers for popular courses. Will the Self-Education Cap Deter You from Further Study? Online study is flexible and cost effective. For a country that has long considered itself the “clever nation” — the land responsible for the cochlear implant, the hills hoist, and the black box flight recorder — the Federal Government’s proposed $2,000 cap on self-education expenses seems a little surprising. The Government announced the self-education cap two weeks ago and since then, speculation has been rife that the cap will deter employees and businesses from undertaking further study. 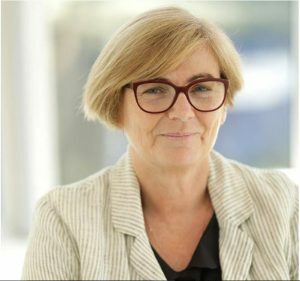 Annette Tsouris, Director of Studies at Australian Workplace Training has been quoted in the website, Smart Company, as saying that though the $2,000 cap was reasonable, for people currently employed and looking to up-skill, “the average price of a course is around $3,000.” While the cost of post-graduate studies at university usually run into the tens-of-thousands. Of course, costly face-to-face study and post-graduate degrees aren’t the only learning methods available. Online training courses — in all kinds of areas for instance, MYOB, Excel and WordPress — have become popular, not just because of their flexible delivery method, but because online study companies don’t have the same overheads as face-to-face institutions and can offer courses at considerably lower prices — the average cost of an online training course at EzyLearn, for instance, is less than $270! Although the cap on self-education expenses could do well to be a little higher — $5,000 per person, say — the cap itself won’t deter people from further study; from gaining the power of knowledge. It will only serve as an impetus for individuals and businesses to investigate other non-traditional learning options, such as online study and training methods. For budding entrepreneurs or individuals seeking the skills to start their own business, or to manage a small business, our Small Business Management course is currently only $1,397 — well below the proposed cap. We have reduced the price of our Small Business Management course, which is usually more expensive, for a limited time to allow you the opportunity to gain the necessary skills you need to start their own business or gain employment managing a small business without exceeding the self-education cap. Take advantage of this great offer now and enrol in our Small Business Management course; discover the valuable skills you need to successfully manage a small business, including writing a business plan, conducting market research, legal and risk management, and much more! We made the decision to use WordPress for our website because it’s easy to use, inexpensive yet looks professional. It’s great for blogging and bringing visitors to your website and is also really flexible — with an abundance of features, layout options and plug-ins. Yet, when it comes to websites, there are still thousands — yes, thousands — of business owners who don’t have one. These are people who still believe in phone books. Phone books are pretty handy things. They’re handy for fashioning into a makeshift monitor stand to prop up your laptop. They’re handy for wrapping glassware and crockery when you’re moving house. They’re pretty darn handy for killing really big spiders. And if you’ve got a stack of them collecting dust in your garage since, say, 1982, then why not build a fort? Surely that’s pretty handy for someone, somewhere — the kids, maybe? Phone books are not particularly handy, however, for finding a telephone number or business listing in 2013. Why flick through some-seemingly million pages searching for something you could easily find with a click of your keyboard, a glide over your tablet device, or a quick chat with Siri? 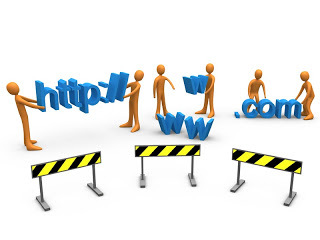 If you’re a business owner and you don’t have a website, our strong advice is: get one! Today, when people are searching for a business, product or service they invariably Google it, so for anyone in business, a website is an essential online marketing tool. Again, we highly recommend WordPress. Business owners can manage their own content, which gives you enormous flexibility and it comes with a host of attractive themes and options. We offer an online WordPress training course, designed to help you understand things like SEO, working with plugins (including mobile sites and RSS feeds) and much more. 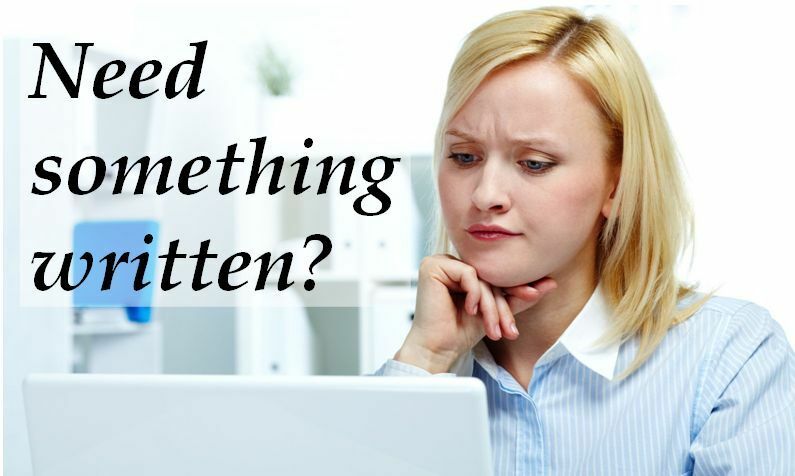 If you’re a business owner and you already have a website but it looks like a 90’s relic with loads of Clipart, an endless-scroll of 10-point, Times New Roman copy, punctuated periodically by headings that are underlined, in bold and capped off with 73 exclamation points, then it’s time for a makeover. 1. Establish Goals: Like anything in business, you need to establish some goals for your website. Things like: Why will people visit my website? What information do I want to provide? What do I want people to do next? You need to answer these questions before you begin. 2. Don’t Forget to be Mobile: The Internet is literally in the palm of your hands; so don’t forget to consider a mobile strategy during the planning stage. You’ll need to consider the main reason people will be visiting your site — for information about your products and services, to purchase your products and services, or something else — and build that into your mobile site, make it the most prominent feature. 3. First Impressions: Your website is your brand, your personality, and your reputation all rolled into one. If your website resembles the shambolic mess we described above, that’s how people are likely to view you and your business: as a shambolic mess. Photos from online photo libraries, like iStockPhoto will give your website a professional finish, but don’t forget to add a bit of you into your website. Too many stock-standard images and you run the risk of seeming generic, uninspired, bland. And bland is boring. 4. Keep it Simple: Don’t overwhelm your visitors with too many links, too many choices. This isn’t a Pick Your Own Adventure novel, it’s a website. Ensure your menu and links are intuitive and consistent. If you want to point people to the “contact us” page in your copy, use the same language that’s in your navigation menu — this will eliminate confusion. 5. Use a ‘Call-to-Action’: Your visitors are here for a reason; capitalise on that. Make sure it’s easy for them to find what they’re looking for — display contact details, proceed to checkout links, or your mailing list prominently — and encourage them to take the next step. 6. Less is More: The endless scroll of copy has got to go. It doesn’t matter how multifaceted or interesting your business is, people won’t read it. They don’t care. If you can’t whittle your business and services down to two or three (short) sentences, get someone else to — we recommend you use a professional copywriter. 7. The Need for Speed: Load times are critical. If people can’t open your page within ten seconds — that includes mobile devices — they’ll try a website where they can. If you’re taking your own photos to include on your website, remember that huge files require huge download times. Make sure to reduce the image sizes to a few kilobytes rather than a few megabytes. Where you study will probably change over time. There are more ways to study, more institutions to study with and more courses to study than ever before. But with so much choice, it raises the question: Where’s the best place to study? I am a university graduate and I wouldn’t swap my degree for anything else. But I’ve also studied online and completed short courses and seminars run by universities and various other learning institutions. Each time I studied, the method of delivery — face-to-face, online — or institution I chose offered me something that uniquely suited my circumstances at the time. As a university student undertaking a five-year journalism degree, it was necessary to gain entry into the competitive media industry where a tertiary education is essential. 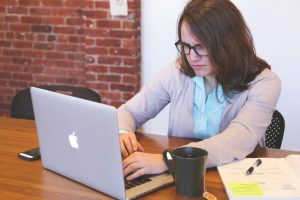 But when I decided to study again — this time an online course on becoming a freelancer — it provided me with the flexibility of studying when and where I wanted while I was still a full-time employee. That said, I don’t believe an institution like TAFE or university is necessarily better than a private institution. For instance, I would NEVER study a language at university! I would much rather private tuition. I didn’t choose online study merely because of the flexible delivery — I was more than able to attend night classes at TAFE or uni if I’d desired. I chose online study because, having worked in the industry for several years already, I’d been exposed to much of the industry know-how and I was quite practised at working independently; face-time with the teacher and fellow students simply wasn’t necessary. Sometime later I enrolled in a two-day seminar about building a successful freelance business. I had been freelancing for sometime by this point and I was seeking something that fostered interaction with fellow freelancers while I learned the low down, (semi) dirty tricks of the trade. And most recently, I completed a short course in investigative reporting; again at a university. What attracted me to the course was not the institution, but the teacher: a gold Walkley Award-winning investigative journalist. In this instance, I opted to attend the classes over a series of weeks rather than one intensive weekend, it gave me the chance to experiment with the things I was learning — accessing public registers like electoral rolls, seeking information from government departments through the Freedom of Information Act, and so on — so I could seek guidance if I ran into difficulties. So if you’re tossing up between online or face-to-face study, university or TAFE or a private institution, it’s not a matter of who’s the best or what’s the best method; it’s really a matter of what your circumstances are and what you’re hoping to achieve. If you’re a motivated, self-starter we offer a number of online courses designed to help you develop and grow your skills across a range of pursuits, when and where you want. I wrote last week about the importance of securing your website in-case you get hacked (it has happened to us several times so we have learnt from the mistakes!). I wrote about a free WordPress Plugin called BackWPup and now I have some WordPress training about how to update WordPress and install the backup plugin at the bottom of this blog post. If you subscribe to this blog post and are reading this on email, click the heading to get to the online WordPress training video. WordPress is an open source Content Management System (CMS) that enables you to make changes to your website and keep a blog. Both of these tasks make your website more relevant to Google and helps to increase your PageRank with the Google search algorithm. Just like Windows, WordPress is regularly updated and kept current by the developers and there are thousands of plugins that can be installed to make your website more functional. The WordPress training video in this blog teaches you how to upgrade your WordPress website and install and activate a plugin. Our WordPress training course gives you all the tools to create and maintain your own website and it comes with lifetime student access so you can use it as a resource when you want to get more complicated with your online marketing strategy. With enough WordPress training and practice you can not only create and update your own website, but perform this work for other small businesses who need to get online. Watch the training video below and checkout the 1,500 plus free professional WordPress themes that you can use to create your own website. FREEBIE: We thought we’d share this demonstration video with you because it is very handy when working with images for your website. GIMP is an open source image editing program that gives you very powerful functionality for editing images. Get to know a little about this program and you won’t need to struggle with Paint or pay for Adobe professional image editing software. This video is one of the free videos in our online WordPress training course. You’ll want to use this when you want your logo to appear in a WordPress website. There’s nothing quite so unprofessional as a logo with a white rectangle background behind it. Enjoy. If you receive this information via email and cannot see the video, click on the title to read this at our blog site. 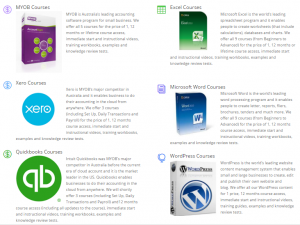 NEWS FLASH: Yet another 11 training videos have been added to our WordPress Training Course! Only recently we announced the addition of 23 new training videos for our online WordPress training course and that is only shortly after the launch of our exciting new website design and blogging course. Why are we populating this course so vigorously? Because we are working with 3-4 students who are building their live sites right now using the content of our course, everytime they come across a stumbling block, we solve it and create more content for our online course. LIFETIME student membership means that you get access to all these new training videos at no extra charge EVER. This time we’ve focused on teach you how to work with images to get a really professional looking website using a featured slider. We’ve provided great sources online for royalty free images, show you how to get images in just the right size for your website AND get the featured slider working with our recommended premium themes. If you are not a student yet, but you want to learn more visit our website dedicated to our WordPress online training course. Remember that you can subscribe to these blog/news posts by visiting our blogsite at www.ezylearn.com.au/wordpress.